Hello Dear Readers. Sadly, it’s not always good times here at the blog. Sometimes we have to take time out from our fun to try to cheer up America’s most celebrated crybaby creative writer, Edgar Allan Poe. So Edgar, what have you been up to lately? I hear you thought up another good idea for a story. Do you mind if I ask where the idea came from? Well, don’t let this hurt your feelings Edgar, but your brain is freakishly large, so it probably catches a lot ideas, it’s casting a big net as it were. But it doesn’t need to haunt you day and night, why don’t you go over to Nathaniel Hawthorn’s house and play Parcheesi. You had fun last time, didn’t you? I loved the old man. He had never wronged me. He had never given me insult. For his gold I had no desire. Well, great! It sounds like you and Nathaniel had a lot in common then, so what’s the problem? I think it was his eye! yes, it was this! He had the eye of a vulture — a pale blue eye with a film over it. Whenever it fell upon me, my blood ran cold. Well now listen, Edgar, everybody has their little idiosyncrasies. Look at you with the freakishly large brain. I bet Nat didn’t hold that against you? You’d be happier if you were less judgmental. I made up my mind to take the life of the old man, thus rid myself of the eye forever . . .
Ha ha Edgar! That’s the spirit! A little joking goes a long way to brightening up one’s mood! But you should have seen me. You should have seen how wisely I proceeded — with what caution — with what foresight — with what dissimulation I went to work. Ha ha Edgar! Oh I’m so glad you’re finally learning how to be a bit more playful. And what a straight face you’re keeping too! I made up my mind to take the life of the old man, and thus rid myself of the eye forever . . .
Ha ha ha! I think you might have just stumbled upon your inner comedian, Edgar! I turn the latch of his door and opened it — oh so gently! and then, when I had made an opening sufficient for my head . . .
You mean because of your freakishly large brain? ah ha ha ha ha ha ha ha ha . . . Oh I’m laughing so hard, Edgar, my sides are hurting . . . It took me an hour to place my whole head within the opening so far that I could see him as he lay upon his bed. Ah hahahahaha! Oh that funny melon head of yours! Ha ha ha! And I did this for seven long nights . . .
Look at you, Edgar! I am so proud of you! I think you are actually cheered up this time. In fact, let’s just cancel that cheering-up appointment for next Tuesday, shall we? With a loud yell, I threw open the lantern and leaped into the room. He shrieked once — once only. In an instant I dragged him to the floor, and pulled the heavy bed over him . . . his eye would trouble me no more. Okay, well, anyway, I gotta get going. Nice chatting with you. He was stone dead. His eye would trouble me no more. Oh. Well, as long as you’re feeling better, that’s the important thing, I guess. But maybe we better keep that cheering-up appointment after all. How does next Tuesday at 2:45 work for you? 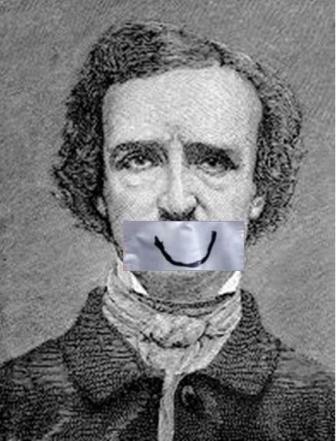 Join us next Tuesday at 2:45 Dear Readers, when we will be continuing our ongoing effort to cheer up Edgar Allan Poe. Welcome Dear Readers! 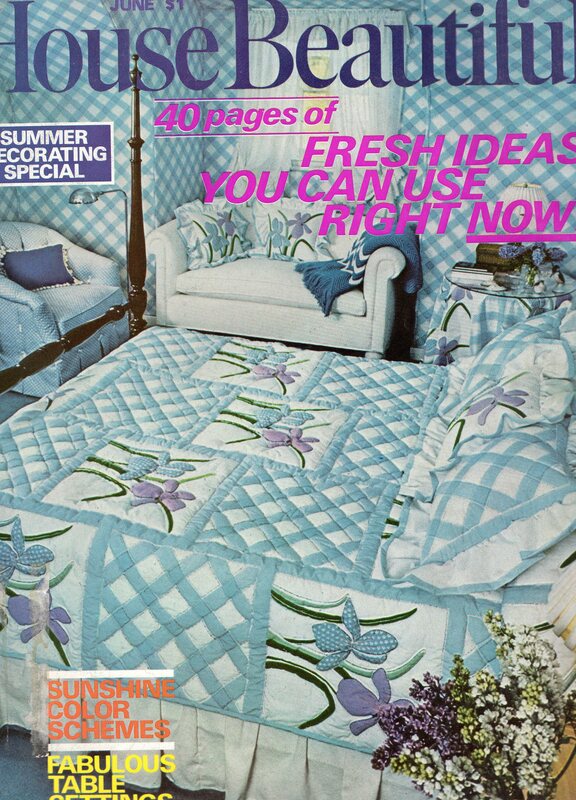 Today, if you’re not feeling a little nauseous already, I thought it might be fun to flip through this House Beautiful Magazine from everyone’s favorite icky decade: The Slightly Creepy Seventies! Isn’t this bedroom eye-crossingly wonderful? But it needs something more, don’t you think? To really give it that Slightly Creepy Seventies flair? Like a focal point of some kind . . . But what kind of a focal point? Hm. . . . Okay! That’s what the Slightly Creepy Seventies is talking about! 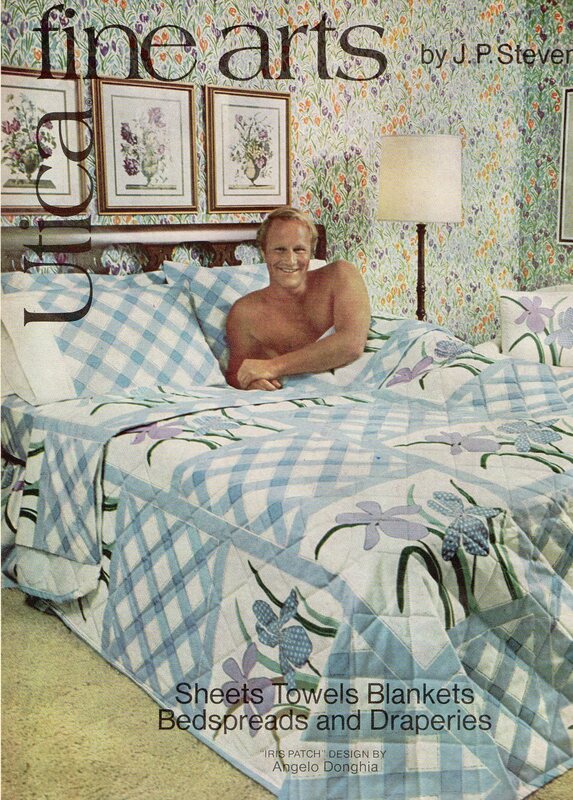 Because there’s nothing like the addition of a weird, eerie male bedspread model to give any 70’s decor that much needed splash of slightly creepy! Whoa! 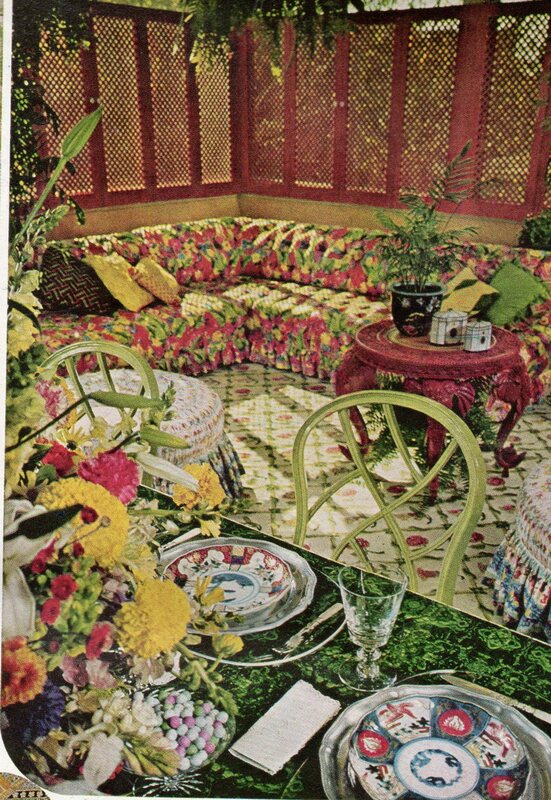 Obviously, the Slightly Creepy Seventies had the highest tolerance for decorative cheerfulness than all the other decades put together. Now, this room is a good example of what happened back in the 70’s when your Slightly-Creepy Seventies Interior Decorator scarfed down a big bowl of yellow chrysanthemums and washed it down with a great big pitcher of ice-cold LSD for breakfast and then rushed over and redecorated your family room while in the throws of a cheerfulness overdose. 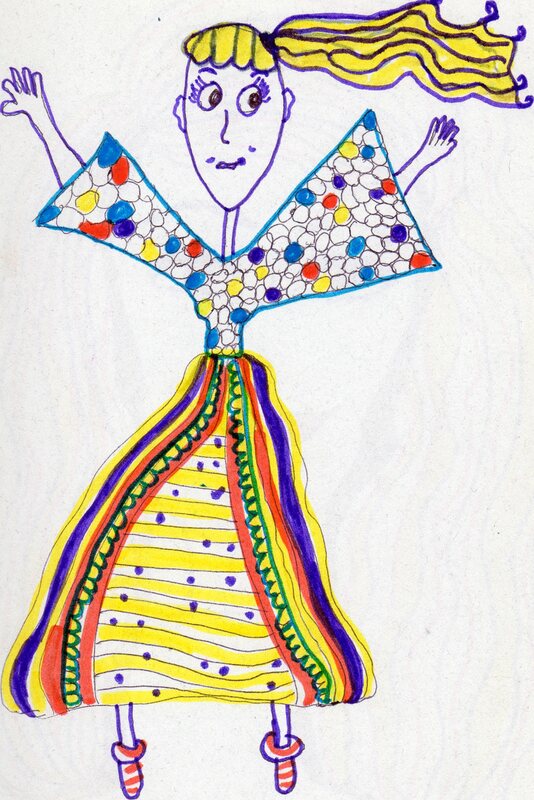 Actually, Cheerfulness Overdose was a common problem in the Slightly Creepy Seventies. In fact, more interior decorators were buried with huge grins on their faces in the Slightly Creepy Seventies than any other decade in history! So I guess you could say there’s an upside to everything. Hey! Look what awaits us on the next page . . . Yes, you’re seeing that correctly. 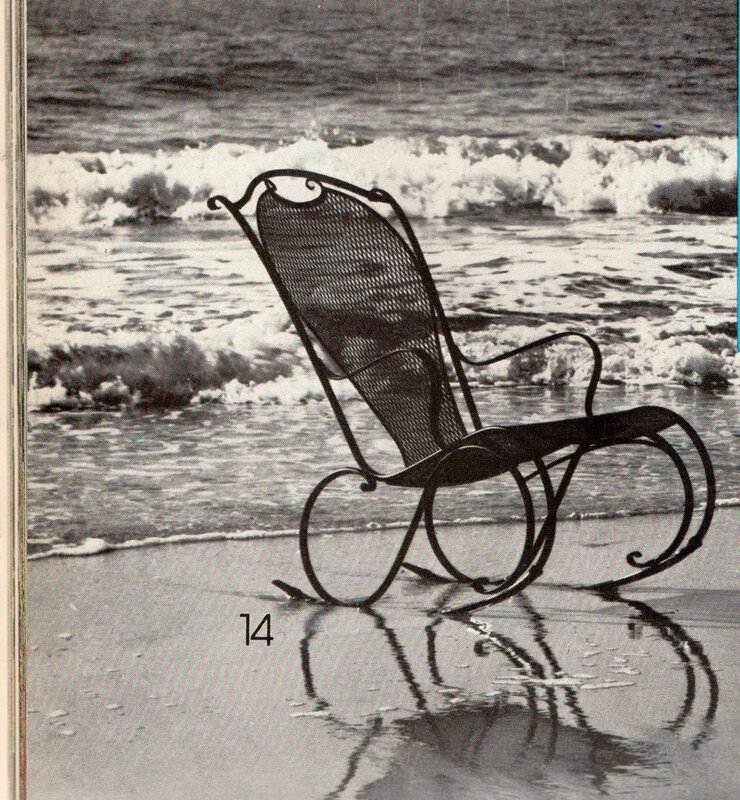 It’s a rocking chair on the beach. And why not? After all, life in the Slightly Creepy Seventies was stranger than it’s ever been before or since. Mike Brady: MarshaMarshaMarsha! Peter! Greg! Cindy! and Whatever the rest of your names are! We’ve driven 87 hours and we are finally at the beach! MarshaMarshMarsha: But Dad, we live somewhere in LA. Why did it take us 87 hours to get here? The Pacific Ocean is just down the street. 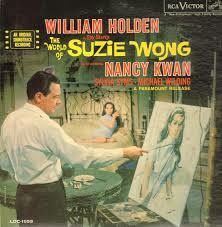 Carol Brady: Oh Mike, you did it again. Hahahahahaha! You turned left when you should have turned right! Hahahahaha! We’re not at the Pacific Ocean, children, we’re at the Atlantic Ocean! Hahahahahaha! Alice: Hahahahahaha! I’ll lug the rocking chair down to the beach while you Bradys wait in the car and laugh. Alice: Wait a minute! Hold the landphone! The rocking chair’s not here! Somebody forgot it! I’m not one to point fingers but I think it was MarshaMarshaMarsha. Mike Brady: Well, kids, it looks like we’re turning around and driving 87 hours home to get it. Hahahhahaha. Carol Brady: But wait Mike, you left MarshaMarshaMarsha at the Atlantic Ocean. Say now, this next item looks interesting. 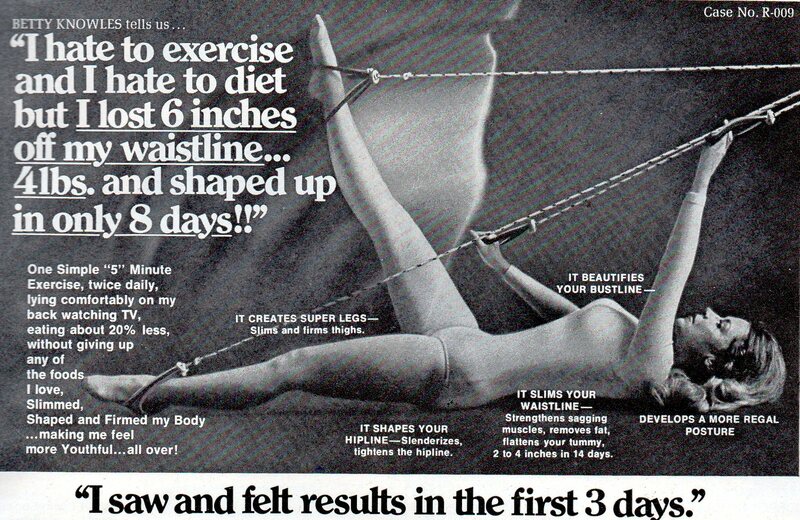 Her name was Betty Knowles and she lost 4 pounds and 6 inches off her waist in only eight days back in the Slightly Creepy Seventies using this lever and pulley exercise contraption. Unfortunately, once Betty got it all set up and herself situated inside of it, she could never figure out how to get out. Eight days later Betty was not only much, much slimmer, but also, she wasn’t wasting valuable time breathing or having a pulse anymore. Unfortunately she wasn’t found until last week about a quarter to five. Sure, it was a sad Slightly Creepy Seventies demise for poor Betty Knowles, but the good news is she has been chosen as the main attraction at the Smithsonian Institute’s much anticipated upcoming exhibit: Mummified Peoples of the Slightly Creepy Seventies. Proving once again there’s an upside to everything! Well, Dear Readers, that’s it for today. If you need me I’ll be down at the Pacific Ocean. 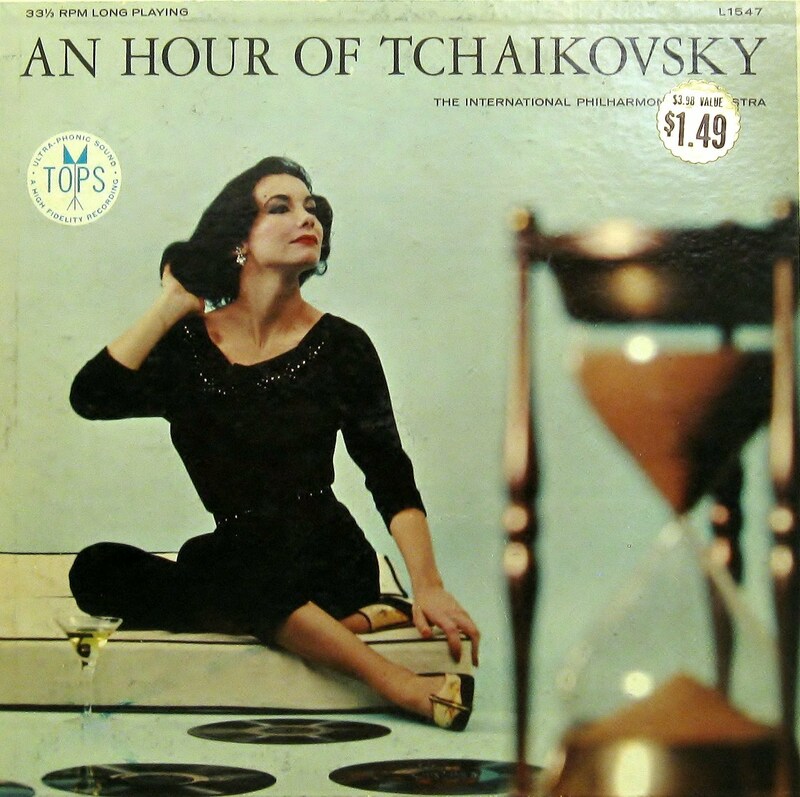 I’ll be the one sitting in the rocking chair eating a big bowl of yellow chrysanthemums. Welp. Looks like you’ll be dying soon. But before you go, you might want to consider giving some money to us, The OMG Life Insurance Company. Here at the OMG Life Insurance Company, we make it our personal business to pry into your personal business. Why? Because the facts are clear. You ARE GOING TO DIE and when you do WE WANT TO MAKE SOME MONEY OFF IT. That’s right. Absolutely everyone is accepted. There are absolutely no medical questions to answer and no medical exams suffer through. Why? Because here at OMG Life Insurance Company, we know for a fact that, sooner or later, come hell or high water, you’re going to be deader than a door nail. If you can fog a mirror, you qualify to send us monthly payments. Yes. It’s as simple as that. You keep your promise to die and we’ll keep our promise to give back some of the money you gave us so that you’re loved ones can use it to figure out what to do with you once you’ve kicked the bucket. Don’t Wait! The Sooner you Apply, The Sooner You’ll Be Covered and The Sooner You Can Die. Oh sure you might feel fine right now, but don’t let that stop you from enclosing your very first payment to us in the pre-paid postage envelope provided. After all, if The OMG Life Insurance Company cares enough to spring for the postage the least you could do is send us some money every month until you die. The Demise of Sudden Spleen Seizure causing you to double over into a ball and roll out your second story bedroom window. The Demise of a meteorite crashing through your roof causing you to become so startled you accidentally grab the hemlock creamer instead of the regular creamer for your coffee. The Demise of Poinsettia consumption wherein you cannot! resist! eating! your! delicious! looking! Poinsettia! one! more! second! The OMG Life Insurance Campany is imploring you to please fill out the form below and send it in the pre-paid postage envelope along with your first payment. Then oh so carefully walk it out to your mailbox. (We recommend you sit on the couch and wear a helmet until your first payment clears. 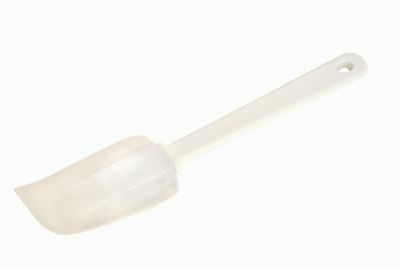 If you have any questions log onto our website at pushin’updaisies.com where affordable coverage is just a few clicks away. P.S.And remember! This is a no risk or obligation offer. If you end up not dying, the OMG Life Insurance Company will give you a full, money back guarantee! So what have you got to lose? Apply today. Welcome Dear Readers! 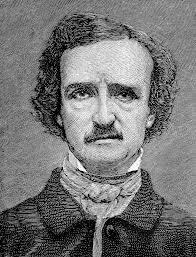 As you may know from time to time this blog takes it upon itself to attempt to cheer up American Literature’s most Gloomy Gus, Edgar Allan Poe. Join me, won’t you as we give it yet another try. Hey Eddy! What’s that you’ve got there? Oh well, that’s cheery! Bells are kind of fun. What is it you like about them? Okay. 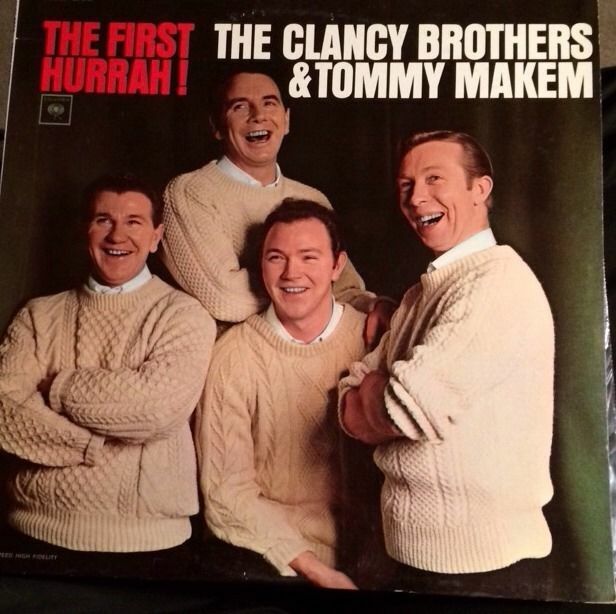 Well, listen it’s a little cold out here in the icy air of night. How about we go inside and you can tinkle your bells indoors. Okay are you talking about different bells than the ones you’re currently tinkling? Cause I can’t hear anything over all that tinkling, Edgar! Of what? The wedding bells? Bells, yes, I got that part. Yeah yeah yeah yeah! Got it! Okay, Edgar you’re about one second away from getting your face slapped. Sorry, I don’t hear any alarum bells and I don’t mean to be critical but you spelled alarm wrong and it’s such an easy word, Ed, come on! Okay now this is exactly what I’m talking about, Ed. Everything was going along fine. You were tinkling some cheery little bells and like two seconds later all of a sudden it’s nothing but terror and Despair! Can’t you just lighten up for like ten seconds? Affright? Okay, now you’re just flat out making up negative words! Why not turn that frown upside down and make up some cheery words! You’d feel a lot better about things. Do you know any cheery words? Okay yeah! There you go! That’s what I’m talkin’ about! EDGAR! Stop saying bells! I’m begging you! Okay Edgar, that’s it. I’m getting out the duct tape. It’s going over your mouth right now unless you promise me you will stop saying bells. Okay that does it, Buster! Well, at least he’s finally smiling.